The OpEd in Sunday’s New York Times called “Why You Hate Work” blew up the Internet and touched a nerve with people all over the country. The single biggest variable impacting why we hate work? No sense of purpose. Businesses without a “Noble Purpose” are rapidly hemorrhaging profits, talent, and brand loyalty. A few weeks ago the Wall Street Journal chronicled Merrill Lynch leader John Theil’s annual address to his more than 13,700 financial advisers and his mission to find Merrill’s “Noble Purpose.” And he’s not the only one. Why? Businesses with a “Noble Purpose” outperform companies that focus on traditional sales targets by almost 400%. For more information on Weinberger’s Furniture, please visit www.weinbergersfurniture.com. Swimming can be a great way to cool off in the summer heat! 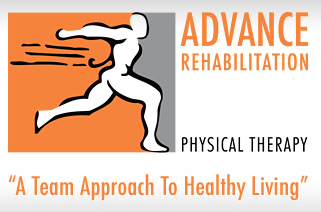 When you and your family go spend a day at the pool, make sure you stay safe with these swimming pool safety tips from Advanced Rehabilitation Physical Therapy. The big problem at the VA is that it’s competing for doctors with every hospital in the country, physician practices, insurance companies, urgent care centers, retail clinics, and community health centers. This ongoing scandal surrounding long waiting times for physician appointments at Department of Veterans Affairs hospitals has generated an array of justifiable responses including grief, anger and embarrassment. We recently came across a wonderful organization, Hi-Tech Healthcare, Inc., and urge our readers to check their website. Hi-Tech Healthcare provides a wide range of home medical supplies and equipment, such as: oxygen equipment, ventilators, sleep therapy and hospital beds to help improve the quality of life for patients at home and long-term care environments. Their trained and caring specialists talk to both the patient and the caregiver to evaluate the home environment and provide the appropriate equipment as directed by the doctor’s treatment plan. 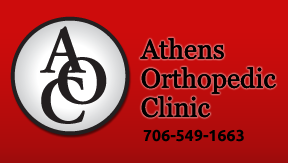 Their highly trained staff sets up safe and easy to use equipment for our patients. Intrigued by encounters with a number of women who clearly found George Clooney fascinating, D. H. Barkley settled down to get to the bottom of why women want Clooney, and other unattainable men in general. Through extensive research of Clooney’s dating history and current thinking in today’s society on how we choose a suitable mate and sustain long-standing romantic relationships, Barkley explores possible answers to our burning questions in her new book, George Clooney: From Bachelor to Betrothed. Harbor Club, a 1,000-acre community on Lake Oconee, has unveiled a spacious new waterfront model home called the Pine Lake, offering a versatile, open floor plan at a price point that might pleasantly surprise home seekers. The 3,000+ sq. ft. Pine Lake model home overlooks a tranquil pond in the Pine Lake neighborhood of Harbor Club, which is framed by a sparkling mile-long inlet of Lake Oconee. The Pine Lake’s flexible floor plan on the main level has a Great Room with fireplace, open concept eat-in kitchen, a master suite, and a formal dining room. The dining room can be modified prior to construction on a new home into an additional main-floor bedroom or a study. St. Mary’s Good Samaritan Hospital in Greensboro has been named to the Georgia Hospital Association’s (GHA) Partnership for Health and Accountability (PHA) Core Measures Honor Roll. Good Samaritan Hospital is one of 23 hospitals in Georgia to be placed in the Presidential category, one of the highest on the list. The honor roll is based on clinical data provided by the federal Centers for Medicaid & Medicare Services (CMS), which administers the nation’s Medicare and Medicaid programs. The data was collected from October 2012 to September 2013. In reading the newspaper last Sunday, I read an article in the AARP insert by Margery D. Rosen that I thought would make an interesting newsletter. The author discusses common disorders that can mimic dementia. When we think of dementia we usually think of an irreversible disease process. While most dementia is not reversible, there are some causes of dementia that can be reversed; it depends on what is causing the dementia in the first place. Prompt diagnosis and treatment is important for seniors showing signs of dementia, especially to rule out disorders that, with treatment, can result in a return of normal cognitive functioning. In general, symptoms will subside when the underlying cause is treated. The groom and his mother surprised their guests with a hilarious dance mashup, the bride didn’t even know this was going to happen! The lake area’s newest casual restaurant, Mosaic, is now open! “Mosaic features regional American cuisine with traveled influences,” said owner David Benefiel who is also the restaurant’s executive chef. Benefiel has had a successful forty year career in the food and beverage industry. He was Executive Chef for Hyatt Hotels and Resorts for years and was recently the corporate Director of Food and Beverage for Starwood Hotels, where he was involved in all facets of menu development and staff training for the hotel chain company in North America that included Westin, St. Regis, Sheraton and W Hotels. This extensive restaurant experience, coupled with his passion for travel, inspired Benefiel to open Mosaic. 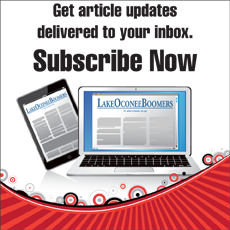 “The lake area needed a casual restaurant with a variety of options, consistently good food and impeccable service. Our menu includes offerings with influences from my travels, that will please a variety of palates,” commented Benefiel. “We offer multiple preparation for fresh fish and seafood. One can have it miso- crusted, or Panzanella style. My travels to London influenced me to perfect my version of Chicken Tikka Masala, which is one of our unique items on the menu. We also have certified Angus steaks, Short Ribs, and Braised Lamb,” he added. The lunch menu features “LOL” or “Lake Oconee Light” which includes your selection of a half sandwich with a cup of the daily soup. There’s also a great selection of entrée salads and sandwiches. “Creating Happier Hours” is a promotion available daily from 3:00-6:00pm with special priced beverages and small plates from $3-$6. 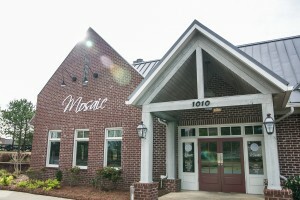 To learn more about Mosaic, visit them online at www.MosaicLakeOconee.com or join them Tuesday through Saturday from 11:00am until 10:00pm for lunch or dinner. 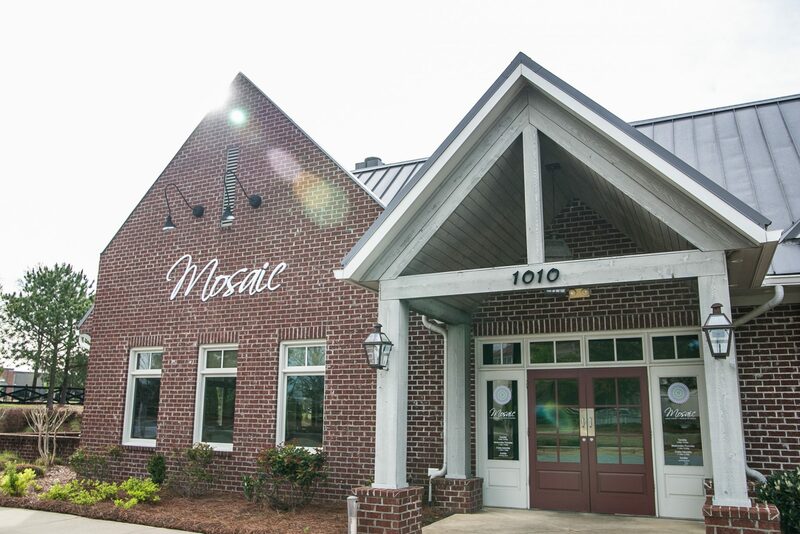 Mosaic is located at the corner of Linger Longer Rd and Market Street at Lake Oconee Village adjacent to the Publix Super Market. From Tripp Insurance Services, Inc.
No matter what type or size of business you have, you rely on data—from customer information and order details to corporate finances and tax data. What would happen to your business if that data suddenly disappeared? Here’s how to back up your critical business data. Physical Hard Copies — Start by converting your paper documents and receipts into digital files. Look for a document scanning system that enables you to scan, digitize the data, label and upload to a document management system. Documents — Use the automatic document backup function, called File History for Windows 8 or Time Machine for iOS, to save previous versions of documents in case of bad saves or accidental overwrites.